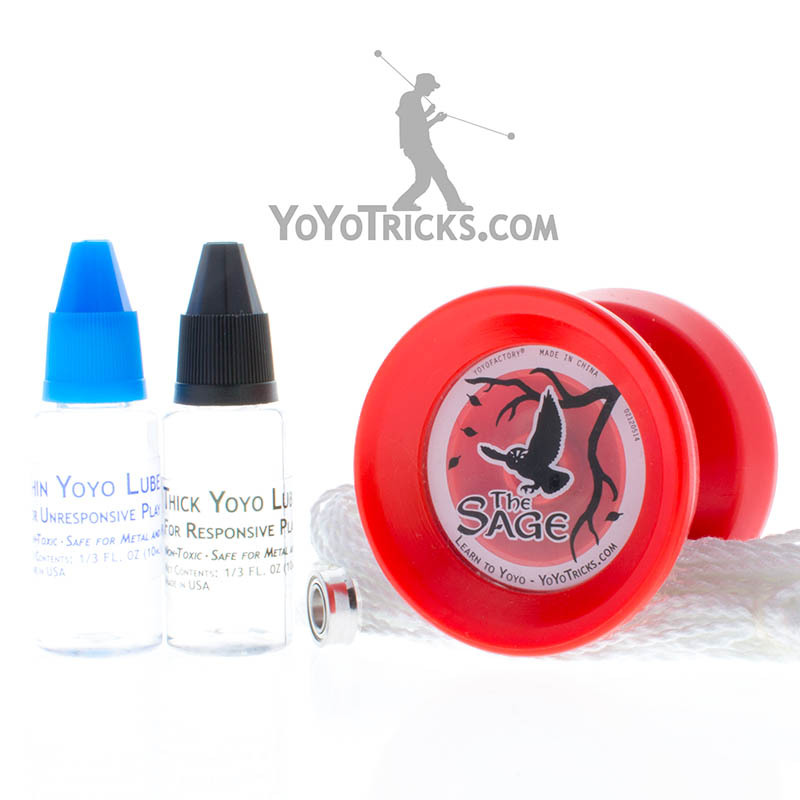 This updated Sage Yoyo Starter Pack combines the key advantages of our former Sage Starter Pack and Sage Pro Pack. The Sage Yoyo Starter Pack includes everything you need to succeed and thrive while you are learning your tricks. 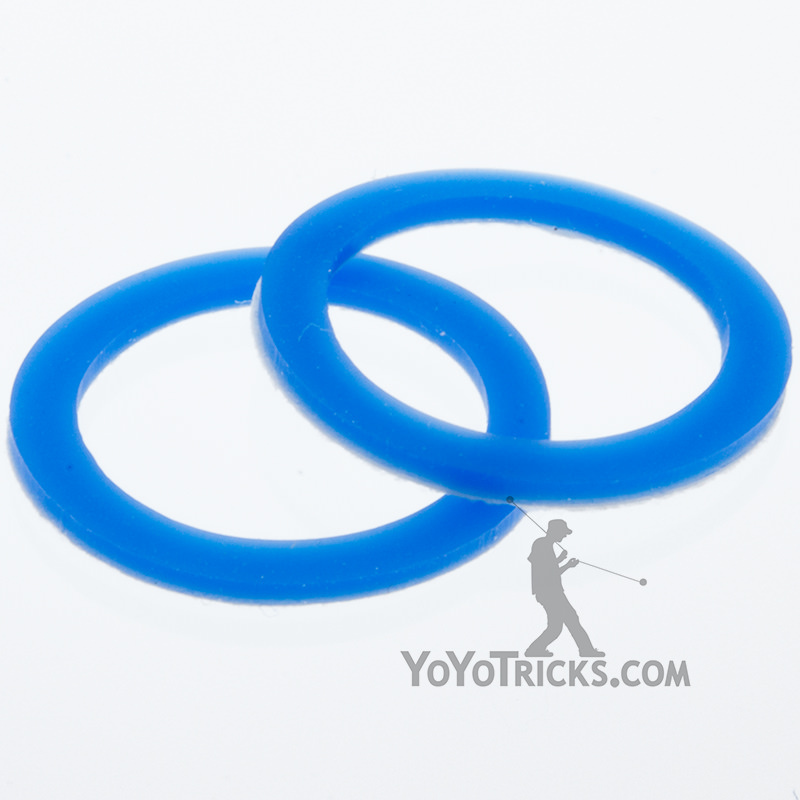 The Sage is easy to use already, but this pack includes thick yoyo lube to keep the Sage yoyo playing as easy and consistent as the day you got it. 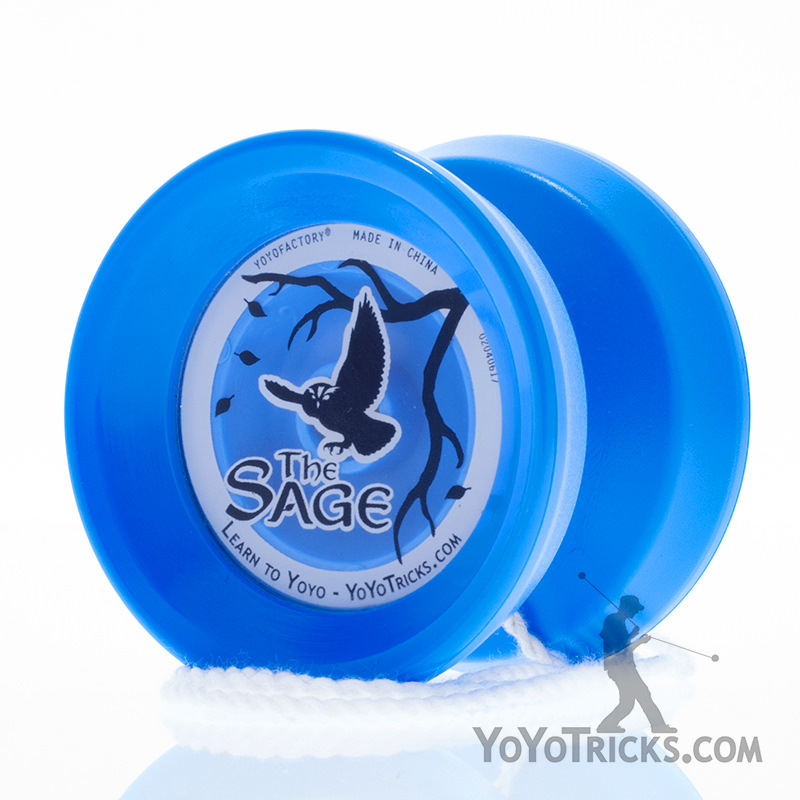 When you are ready to upgrade to advanced (or unresponsive) play, the Sage Starter Pack includes the Center Trac string-centering bearing for sleep times 4-5 times longer than the bearing that comes included in the Sage yoyo. 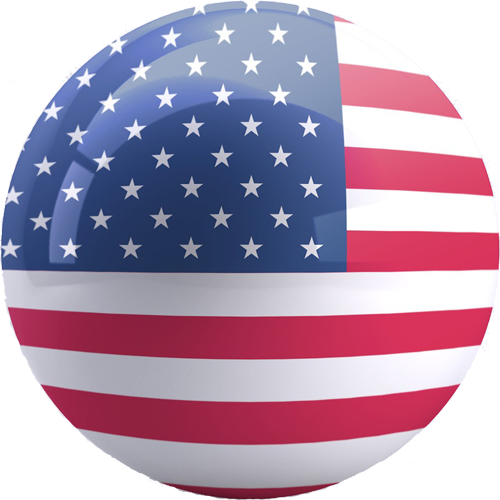 Since the pack includes 2 bearings, you can easily switch between easier responsive play and more advanced unresponsive play by simply swapping the bearing. 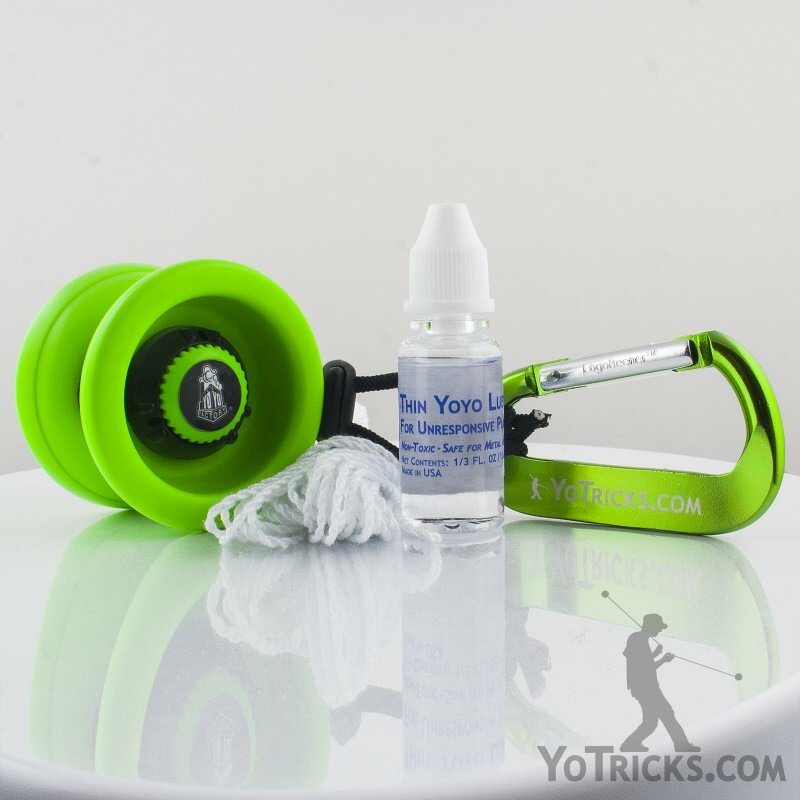 The Starter pack also includes thin yoyo lube for the Center Trac bearing, ensuring it will have a long hassle-free life. 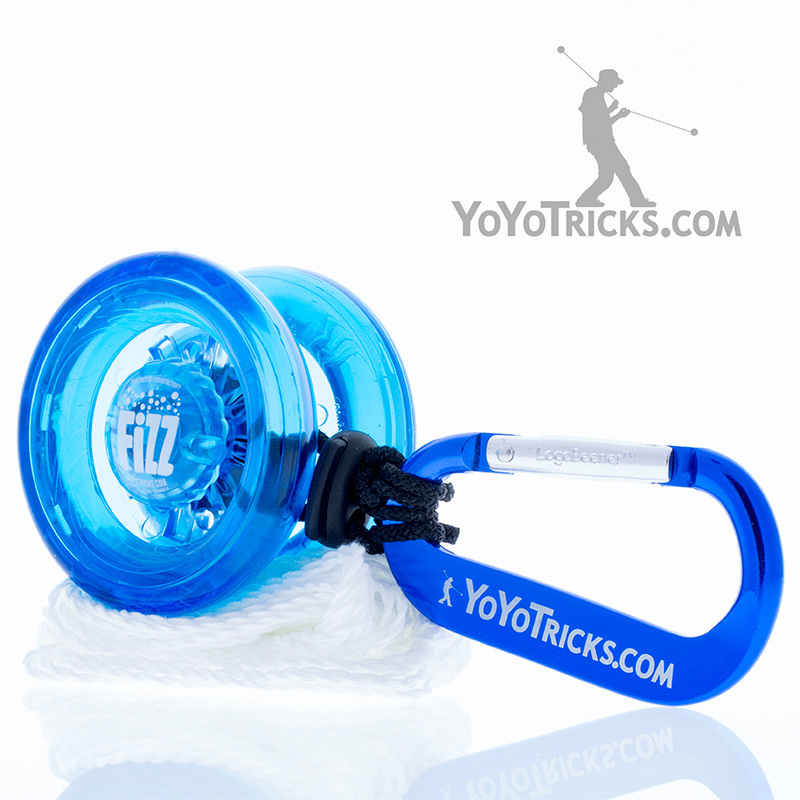 Finally, the pack includes 10 additional strings, so nothing – not even a broken string – will hold you back in your pursuit of becoming the next yoyo champion.